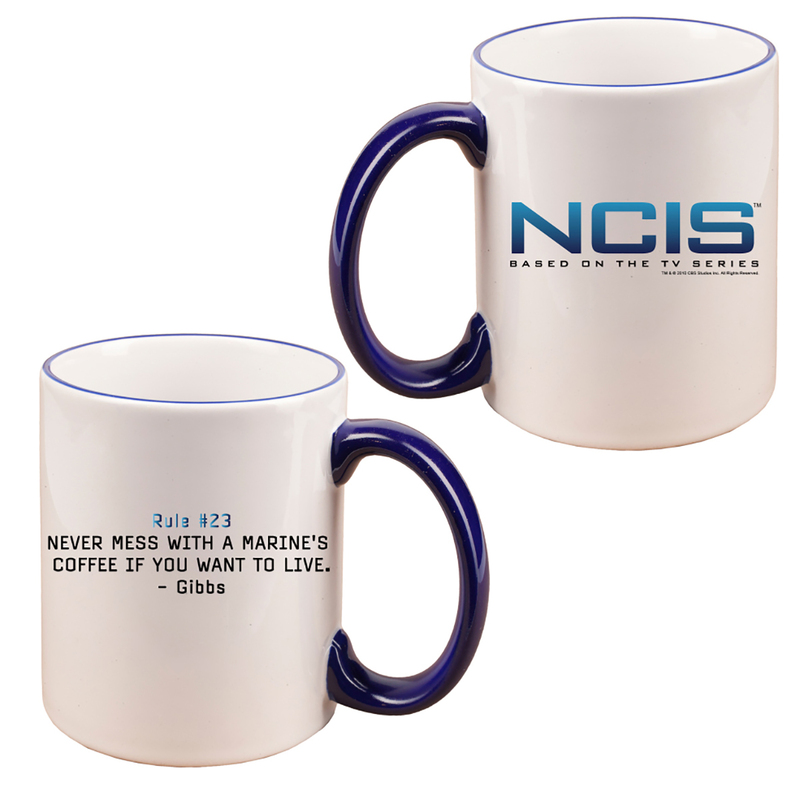 So you can remember NCIS Gibbs' rules when it comes to crime fighting, this mug conveniently and simply states, “Never mess with a Marine's coffee if you want to live.” This white NCIS coffee mug is made of ceramic and holds 11 oz. 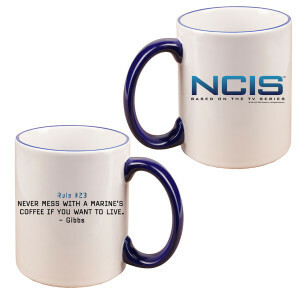 of your favorite brew for an NCIS cup that makes a perfect NCIS gift. I got it earlier then it said. It was for my brother Mike former Marine. He loved it. NCIS Gibbs Rule # 23 Mug NCIS is the best show ever and I have seen every episode. And I use the mug watching it. Hope that the show will continue forever ?? Best regards from Norway.